Halloween Man Comics: Hard Fall Hearts/Danger*Cakes/Bat City Surfers! Yet another rock 'n' roll weekend is closing in on us. 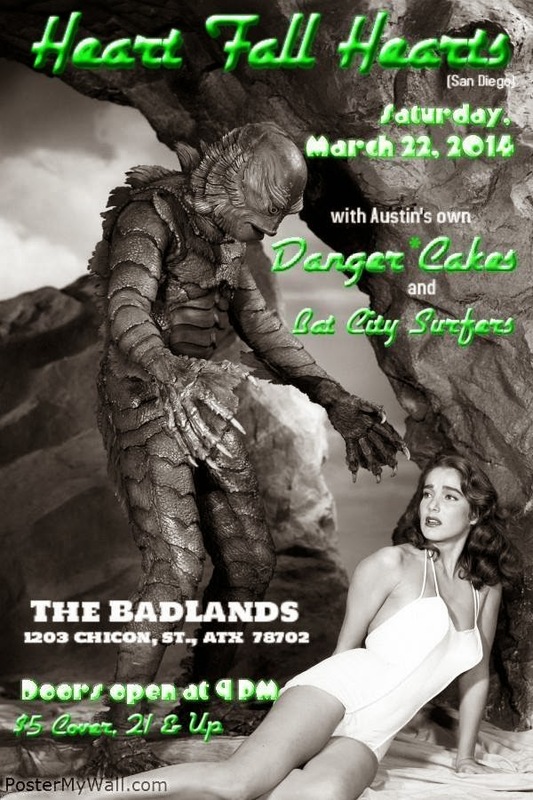 If you're in Austin and you haven't made plans, there is a sweet triple bill at the Badlands.